What is Tik Tok (formally musical.ly)? 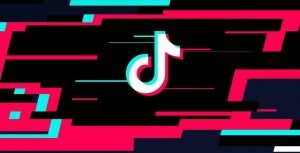 Webwise.ie / Parents / Get informed / Explained – What is Tik Tok (formally musical.ly)? Tik Tok (formally known as musical.ly) is a fun app that allows teens to create and share videos with their friends. Since the early days of social media (in particular on YouTube,) lip-syncing videos have proved a popular form of user-generated content among teens. The popularity of TV shows such as Lip Sync Battle has also helped drive interest in this type of platform. Teens also enjoy competing in the different challenges which can be entered via the trending hashtags on the app. The app has a very dedicated, young community of users. For many of these users, gaining likes, followers and getting their videos featured on the app are important priorities. Creating and sharing their own content is now a big part of how teens spend their time online. Teens are moving away from being spectators online to becoming content creators. This app can be a really creative way, fun way for teens to express themselves and create their own social content. Like most other apps and social networks, users can follow other users, like and comment on other users’ videos. Teens can send emjoi’s to their favourite singer on Tik Tok/ Musical.ly. Users can select the song they wish to use in their video first, then record themselves miming along to the music. Alternatively, users can record their video first and then select a song. The app has lots of ways to add more fun to user’s videos, for example, there are options to shoot in slow-mo, time lapse, fast forward, filters, effects or even play the song backward etc. Once users are happy with their video, they can post it to their followers and share it on other social networks for example; Messenger, Vine, WhatsApp etc. There is also a duet feature which allows you to connect with another user and lipsync together. The search tool allows users to view other videos. Users can also view content under the trending hashtags and submit videos using these hashtags (similar to how Instagram works). The hashtags are also used to submit videos for challenges – for example; #Lipsncychallenge, #Comedychallenge, etc. Can I Have a Private Account on Tik Tok/ musical.ly? By default all accounts are public. Consider setting your account to private/friends only. Go to your profile using the head icon in the lower left corner and tap the gear icon in the upper right corner. Select “Privacy and Settings” and click on “Privacy and Safety”. Here you can secure your account by making your account private. See image above. With a private account only approved users can see your videos, however, your profile remains public. Tik Tok does have a Digital Wellbeing centre where you can monitor your screentime. See here. 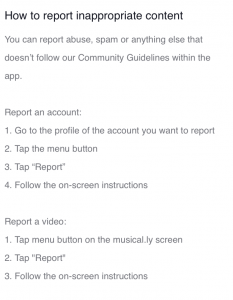 Like all apps and social networks, Tik Tok/musical.ly does have community guidelines. If your child is using the app, we recommend familiarising yourself with their guidelines here.